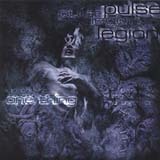 Pulse Legion was formed in 1996 in Hawaii by John Ricker and Samuel P, although within a year they had relocated to Los Angeles and acquired a third member - Jason DM. Together these three electronic musicians created synthetic dance music at its best, and soon were picked up by COP International Records for the release of their debut recording - 1997's "Evolve". Well received by both fans and press, "Evolve" showed a band at its peak, not a band just starting its recording career. Pulse Legion is graphic evidence that strong electronic dance music need not come from outside the North American borders. Powerful and infectious, the music of Pulse legion is driven by implacable mechanical beats and aggressive percussion, intricate sampling, intense musical progressions, haunting keyboards, and supported by disturbing vocals. Metropolis Records is proud to be present Pulse Legion's sophomore release, "One Thing", a remarkable continuation of the quality originally displayed in "Evolve".